The United Nations Entity for Gender Equality and the Empowerment of Women launched the Beijing+20 campaigns. Part of the campaign is to promote the rights of women and to gender equality all over the world. “Empowering Women-Empowering Humanity: Picture it!” is a yearlong campaign for the 20th Anniversary of the Beijing Platform for Action. Its main objective is to advance women’s right in all aspects of life. The campaign invited global citizens to engage in a day long Tweethaton (24 hour conversation on Twitter), held last May 22 and lasted for 24 hours. Various global organizations and women from all over the world joined the Tweethaton #Beijing20 by sharing their thoughts about women rights on political will, social mobilization and awareness-raising. The kick off of #Beijing20 campaign was supported with 14 different hosts who tackle about specific themes thru the use of social media Twitter. The Autism Society Philippines supports the Beijing+20 Campaign by celebrating the talent and abilities of women with autism. While they may not involved in gender politics, they are the pride of the Filipino self-advocacy community because of how they contribute in their chosen fields. Maria Angela “Yanna” Aragon is the middle child among three daughters. Diagnosed with autism at an early age, Yanna began her schooling at Bridges Foundation. She completed her elementary education at St. Mary’s College, Q.C. and her secondary education at St. Theresa’s College QC. 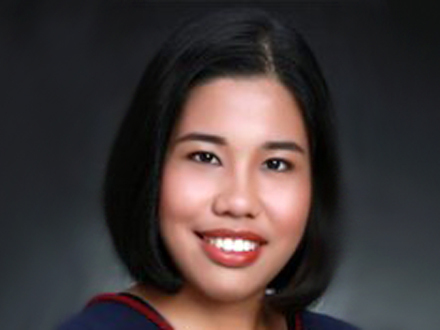 She graduated with a degree in Interdisciplinary Studies from the Ateneo de Manila University in 2011. In three months, she was employed by IBM Philippines where she coordinates with off-shore clients daily. In her downtime, she loves listening to music, playing with any one of her 20+ cats, solving Sudoku puzzles, surfing the ‘net, reading books, and playing video games. Charlene Danica Escasinas she learned to sing at age two -- even before she could speak. She was diagnosed with autism at the age of three. Passionate about performing, she first joined and won a singing contest at the age 7; and started modelling at the age of 12. She is pursuing a degree in Information Technology at the College of Arts & Sciences of Asia & The Pacific. Her hobbies include playing guitar, piano, clarinet, and listening to radio and watching cartoons. Thara Marie S. Santiago started singing at the age of five. As part of the ASP Dreamgirls, she is a familiar face within the PWD community as a frequent performer in national and international events, in small and large venues. Thara’s dedication to music is an inspiration to many who dream of become professional vocal performers. Thara and her singing partner Nica brought home the Gold Medal at the First Autism Youth Camp Competition in Brunei, organized by the ASEAN Autism Network. Velle Baria has been performing at advocacy events for years. Velle is currently a college student at St. Scholastica's College Manila, working towards a degree in Music Performance, with a major in Voice, and a minor in Piano. She is interested in acting, dancing, languages and sports. For more details about the campaign please visit http://beijing20.unwomen.org/.